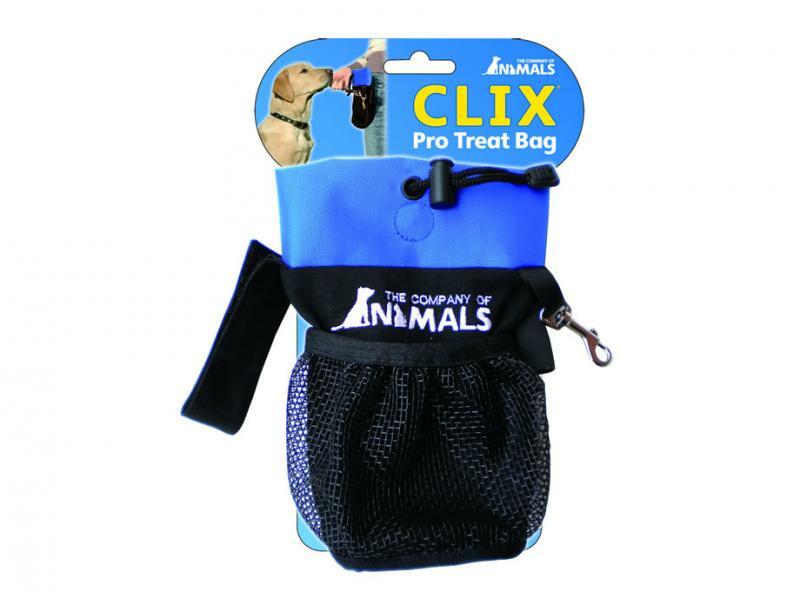 The CLIX Pro Treat Bag is a deluxe version which has been created with the dog trainer in mind. It contains a large amount of space inside with attachments for training accessories. The top of the bag has a drawstring and magnetic closure to keep the treats secure and a zipped pocket on the reverse of the bag to store valuables. The CLIX Pro Treat bag is waterproof and dog proof too! The bag comes in black with a randomly allocated coloured top. Below are some recent questions we've received regarding CLIX Pro Treat Bag, including answers from our team. Can you please let me know if it is possible to fasten this Treat Bag to the belt around your walking trousers and a pocket for poo bags? Many thanks. This bag has loops where a belt can be threaded through the back to secure it to your trouser.